The Aeotec Z-Wave Plus MultiSensor 6 makes your smart home more powerful and more intelligent. 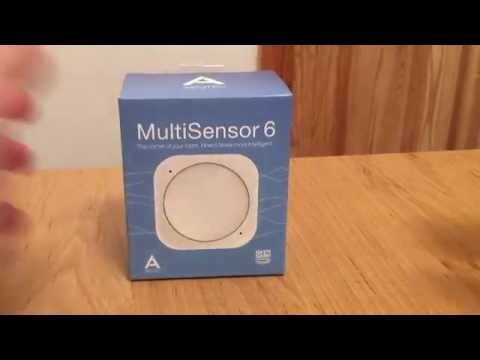 This smart sensor is equipped with six separate sensors in one small deivce: a motion sensor, temperature sensor, light sensor, humidity sensor, vibration sensor, and a UV sensor. 2-year battery life with standard use. Security: AES-128 bit data encryption and tamper protection. Light weight and small size recess mounting (bracket sold separately). May be installed outdoors (with motion sensor disabled).